During the rut (mating season), male bighorns literally become battering rams. They face off in duels by pounding their horns together in violent collisions. The thunderous echoes of these duels crackle through high mountain valleys during the rut. 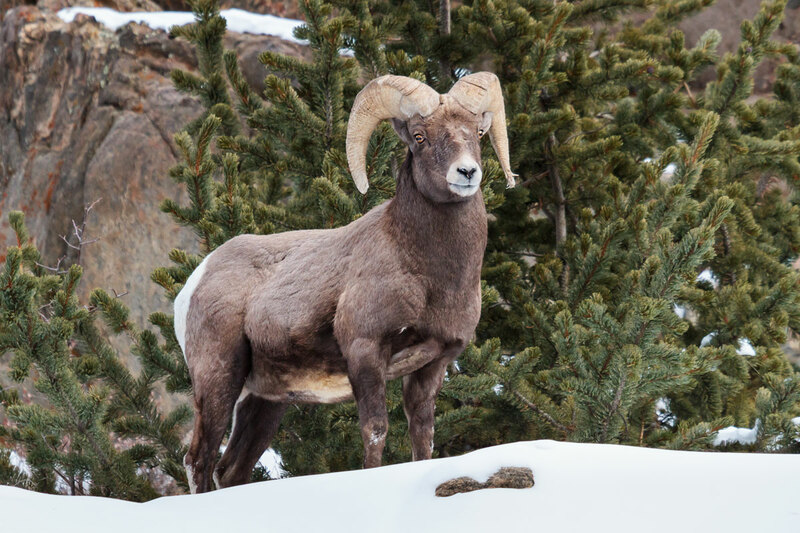 Bighorn sheep are right at home in Montana's rugged mountains. They feed on grasses and shrubs in the high mountain ranges, and it?s not uncommon to see them grazing in meadows or hanging out on rocky cliffs. They are comfortable in most any terrain. Of all the big game species, they are among the most social.